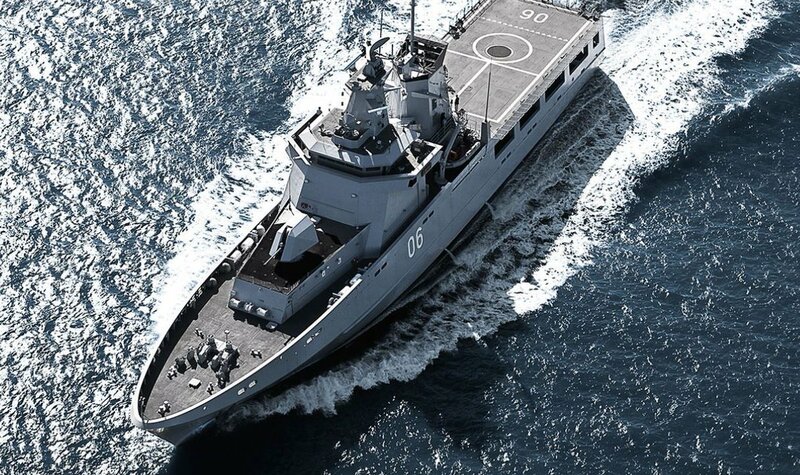 The Federal Government announced that Australia’s 12 Offshore Patrol Vessels (OPVs) will be delivered by prime contractor Lürssen. The $4bn project, which will be delivered using Australian steel, will directly employ up to 1000 Australian workers – 400 direct and a further 600 in the supply chain. According to the Government’s announcement, the first two ships will be constructed at ASC’s shipyard in Adelaide, with the remaining OPV’s to be built at the Henderson Maritime Precinct in WA utilising the capabilities of Austal and Civmec. ASC Chair Bruce Carter described the OPV win as ‘historic’, saying the decision recognised the company’s strong performance on the Air Warfare Destroyer program. “Today’s announcement marks a new era for the company as it moves forward to its second major warship construction project and a sustainable future,” he added. Austal CEO David Singleton congratulated Lürssen on winning the OPV contract, adding that he was looking forward to establishing a long and productive working relationship with the German ship designer. “This important program will not only deliver new capability for the Navy but will continue to build the industrial base in Australia in line with the Government’s stated intent,” Mr Singleton said. The first of the 12 OPVs will enter construction phase in the fourth quarter of 2018. Next articleSeeley International buys California-based Integrated Comfort Inc.